Sao Paulo Challenger Wednesday Preview/Update! Ok, peoples. I suppose I should forge forth with some Sao Paolo Challenger analysis as if it’s a tournament that’s going to actually, you know, happen. You know it won’t, and I know it won’t, but – like we’re a good action movie audience – let’s suspend our disbelief and just pretend for a while. Cmon, it’ll be fun! As of right this now, the event is, of course, a shambles. Rain, rain, rain. And after that? More rain. The Bradesco Prime Cuppers have been scrambling to find indoor accommodations for their backlogged (and waterlogged) matches, but can’t find many tennis clubs that both a) will yield court time to them and 2) have regulation ATP-acceptable courts. As a result, we’re still awaiting main draw action in the middle of the week. We interrupt this preview for a Special Update: Holy crap, peoples! I suspended my disbelief for a moment, launched the livescores and the livestream, and they’re actually PLAYING in Sao Paulo right now! Tennis, even! Livescore here, and livestream here. Federico Del Bonis up a set on Tiago Lopes (as well he should be), Guillermo Alcaide up a set but down a break to Daniele Giorgini, Giovanni Lapentti with a first set TB over Ricardo Hocevar, and Matteo Trevisan vs. Joao Souza on serve early in the livestream. I predict Del Bonis will take the first set over Lopes (as he should), Alcaide will start strong but then struggle, and Lapentti will take a close first set. Stay tuned for more! Sao Paulo Challenger Preview – Now with Extra OCD! First Quarter: Top seed Ricardo Mello (ATP #76) has drawn a qualifier in the first round, as has 2011 Player to Watch Tsung-Hua Yang, whom Mello is slotted to meet in the 2nd round. Which is all well and good, except for the fact that Brazil F1 champion Gastao Elias lurks in the quallies and might have been granted enough meteorological reprieve to be firing at full strength in the main draw. Elias is a truly dangerous floater, and I feel that his placement in the draw might eventually factor in the outcome of this tournament. With three qualy spots in the top quarter of the draw, they’re likely to find this Portuguese party crasher in their midst. Teen phenom Tiago Fernandes also lurks as a potentially potent qualifier. Have you never been Mello? As for the only match whose participants are now known, I find Juan-Pablo Brzezicki vs. Joao Sousa (Portuguese “s” variety) an intriguing first round match. 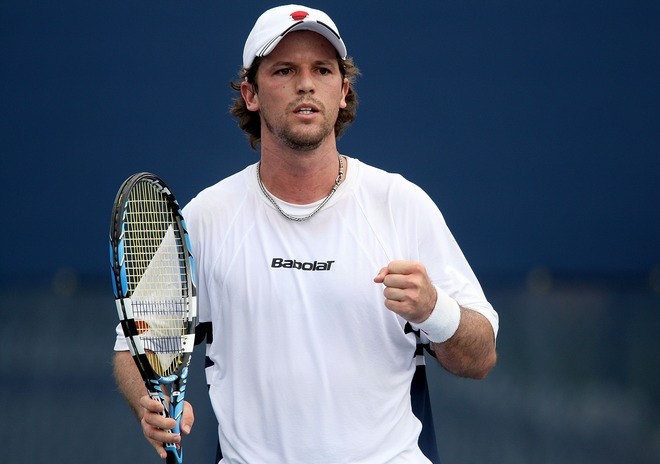 The 28 year-old Brzezicki is having a late career renaissance of sorts, playing well in the two Buenos Aires Challenger events last year, making the semis of one (l. Maximo Gonzalez) and the finals of the other (l. Diego Junqueira). Sousa, meanwhile, is coming off a 57-win season that saw the 21 year-old’s ranking rise from #443 to his current #244 (that’s almost 200 places, for you non-math whizzes). Can he continue his rise against the former Top 100 JPB in their first career meeting? We gonna see. 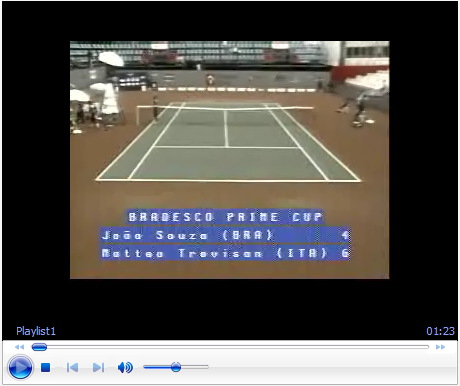 Second Quarter: Joao Souza (Brazilian “z” variety) vs. Matteo Trevisan is another interesting first rounder. The sixth-seeded Souza (ATP #111) prevailed in their only previous encounter, 6-4 4-3 ret. in last May’s Alessandria Challenger, but Trevisan was a #1 world junior in 2007 who is a really good ball-striker. 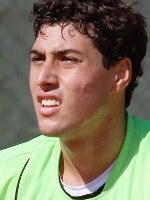 Now ranked #276, can the oft-injured (he retired from five matches last year) Italian start to make his mark in 2011? Some say he’s too short to make it in the big leagues. I say let’s wait and see what this season holds. On zee next drawlines we find the popular Ecuadoran Giovanni Lapentti vs. Ricardo Hocevar (popularity undetermined). These two have a history, and that is: Hocevar leads their head-to-head 4-2, but little Gio has won the two most recent meetings, both last year, one on clay and one on hard courts. I’d look for Mr. Lapentti (G variety) to continue his winning ways here. Daniele Giorgini and Guillermo Alcaide have a history as well, and it’s fairly ancient; Giorgini squeaked out a three-setter in 2005, which means absolutely nothing at in today’s terms. Alcaide had the better 2010, and is better on hard courts, so I’m expecting the Spaniard to come through this one. If he does, he’ll probably meet seventh seed Federico Del Bonis in the 2nd round. 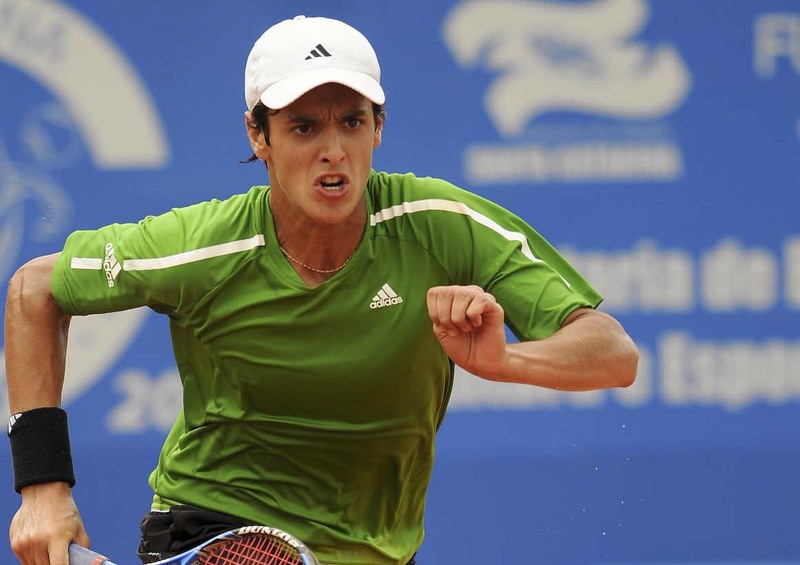 The 160th-ranked Argentine 20 year-old meets 650th-ranked wildcard Tiago Lopes in his first round. If it seems as if I’ve been entirely neglectful in not mentioning the Sao Paulo Challenger on this alleged Challenger Tennis site, well that’s because I have. I blame the excitement of the just-completed Brazil F1 Futures event, the onslaught of ATP 250 qualifying events, as well as various nefarious New Years activities. But mostly I blame society. Anyway, I’m here to tell you: there’s a challenger this week in Sao Paulo! A 125K Challenger, no less! (For the uninitiated, this is the highest level of challenger tournaments.) Actual Big Names like Horacio Zeballos, Maximo Gonzalez, Federico Del Bonis and Ricardo Mello (though not in that order)! Teen phenom Tiago Fernandes has already posted a win in the qualifying tourney, which features 31 Brazilians. And please spare a thought for the only non-Brazilian who has to play: Gastao Elias, fresh (?) off his win at the F1 Futures earlier today, is thrown back into the mix to play qualies this afternoon. Survey says: ouch. All first round matches have now been played, and it’s so far so good for the seeds in Sao Paulo;  Rogerio Dutra Da Silva,  Guillermo Alcaide,  Ulazdimir Ignatik,  Ciao Zampieri,  Ricardo Hocevar,  Tsung-Hua Yang,  Thomas Fabbiano and  Daniel Silva all won in straight sets (well, except for Alcaide – thanks for ruining my narrative, Guillermo!) to advance to round two of the Brazil F1 Futures Bradesco Prime Cup. Two talented Brazilian youngsters – 17 year-old former world junior #1 Tiago Fernandes and 16 year-old Thiago Moura Monteiro* – put up decent fights against their more-seasoned opponents, Fernandes losing 1-6 5-7 to the Italian Fabbiano and Monteiro going down 3-6 4-6 to the Belarussian Ignatik. Among the non-seeds, there were a few noteworthy results, which I shall now note. Friend of the site Fernando Romboli continued his 11-match roll in defeating Danilo Ferraz 6-1 6-4, keeping his potential Player To Watch hopes alive. The 21 year-old from Rio admitted coming into the tournament he was a little tired, having won the season-ending Brazil F37 and F38 tournaments in back-to-back weeks heading into this one. But he had no trouble in dispatching his countryman, who had been coming ever closer to beating Fernando in their previous four matches. Alas, Ferraz couldn’t match Romboli’s newfound form, and is now 0-5 against Fernando in their head-to-head meetings, with four of those losses coming this year. Romboli will go for his 12th straight win against the fifth seeded Hocevar in R2. Gastao Elias also posted an encouraging win, taking out the winner of the awesomely-matched Racy-Semenzato FQR, beating the qualifier Bruno Semenzato 6-4 6-1. Elias is someone who once graced the great Steve G.’s “Young Guns” spreadsheet over at the soon-to-be-sadly-defunct stevegtennis.com. A former #6 combined junior in the world who won the Eddie Herr International in 2007, the 21 year-old Portuguese Davis Cup stalwart has been absolutely crippled by injuries the past couple of years. Great to see him on his feet of late and hopefully healthy. 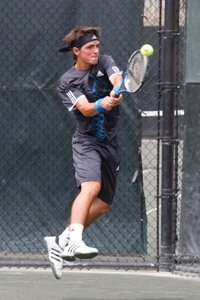 He’ll play top-seed Dutra Da Silva (who, according to this article, is brother of eighth seed Daniel) in the next round. More updates coming soon – watch this space! *You say “Tiago”, I say “Thiago” – let’s call the whole thing off.